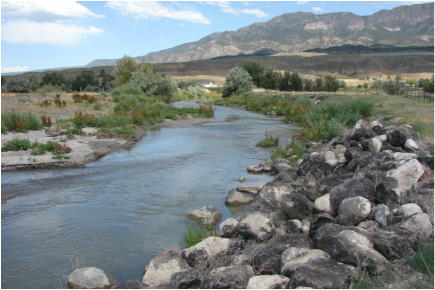 The Sevier River Watershed is located in central Utah and drains an area of over 11,200 square miles. It ranges in elevation from 4540 feet to 12,000 feet. This basin is unique because water never reaches the ocean, but drains into the sometimes nonexistent Sevier Lake. The Sevier River, the largest river in the watershed, has origins in southern Utah and flows north and then west into Sevier Lake. Precipitation can vary from 5 to 8 inches per year in the valleys to 35 to 40 inches per year in the higher elevations. 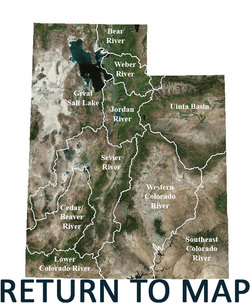 Major water bodies in the basin are the Sevier River, San Pitch River, Clear Creek, Salina Creek, Mammoth Creek, Yuba Reservoir, Otter Creek Reservoir, Panguitch Reservoir, and Sevier Lake. Major uses for water are agriculture, municipal uses, recreation, and wildlife. Water quality issues include sediments, erosion, high total phosphorus, and low dissolved oxygen.